beetroot extract and even turmeric. 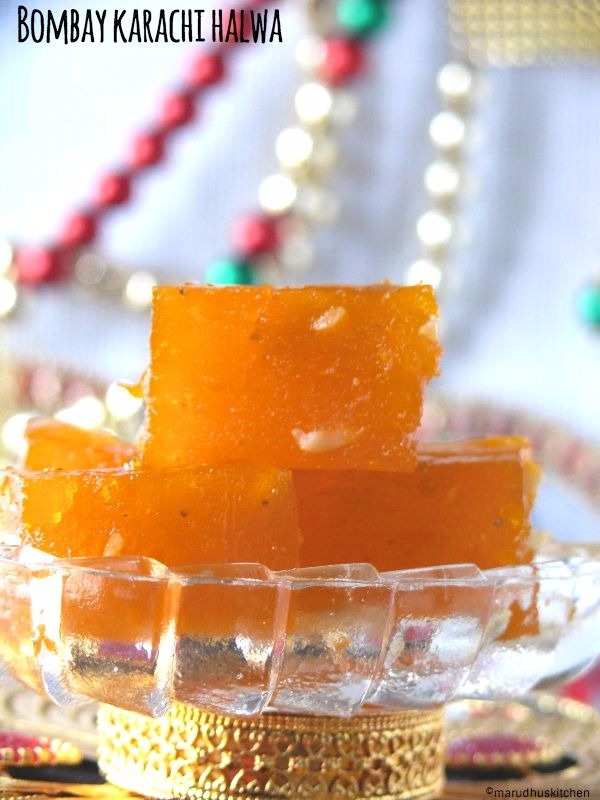 I read somewhere that this halwa was once made by soaking the maida dough and the squeezed milk from the dough was used to make this halwa. 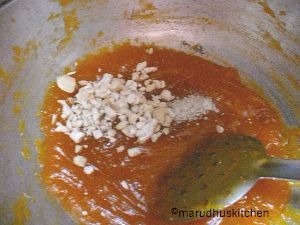 This is the first time Iam making this halwa although I have tasted it many times in sweet-shops. This sweet should be stirred carefully without any lumps. I have added only cashew nuts here but you can add badam,pista or any seeds like melon seeds after roasting. I have used a thick bottomed aluminium kadai but you can use a non-stick kadai! it will be very easy. 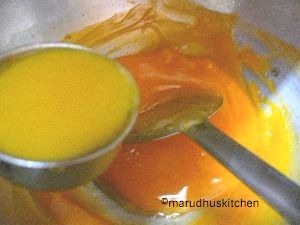 1.In a cup take corn flour add 1 cup water little at a time and make a slurry without lumps and to that add required colour mix well and keep ready. 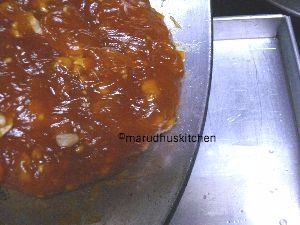 2.Keep a thick bottomed kadai with sugar and 1/2 cup of water or till sugar is immersed in water. 3.Let it boil for 2-3 minutes after the sugar has dissolved. 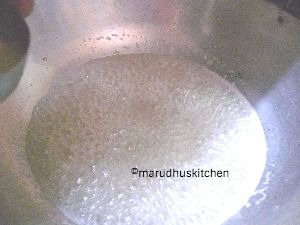 4.If you find sugar has impurities do filter them,again bring to boil and add one or two drops of lemon juice . 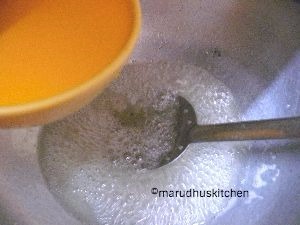 5.Now once again stir the cornflour mixture well before poring into boiling sugar. 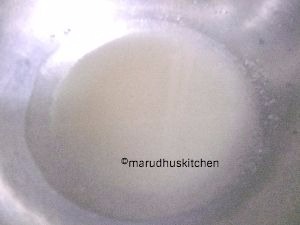 6.When pouring corn flour you should sim the flame and add it slowly with constant stirring. 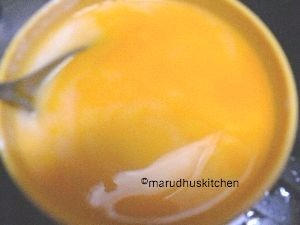 7.At one stage the mixture will thicken and now you can start adding ghee little by little. 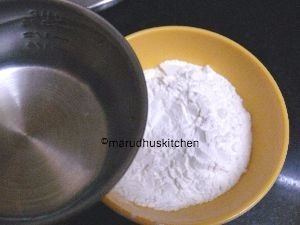 8.In the next stage the contents will start rolling by leaving the sides,at this stage add cardamom powder and broken cashews and mix well. 9.When all contents rolls like a ball transfer into already greased tray and let it cool. 10.After it cools cut into preferred shapes.